Here’s a cooking question: Do I use only infused butter in my cookie recipe? I used an ounce of decarboxylated homegrown Banana Kush flower and sugar trim to infuse 4 sticks of butter. My favorite cookie recipe makes 60 cookies and calls for 1 cup of butter. How can I calculate the strength of my cannabutter, and what are my options for controlling potency in the cookies? I want the cookies to be about 10 milligrams THC per cookie. Thanks! –Head Chef! Great question! 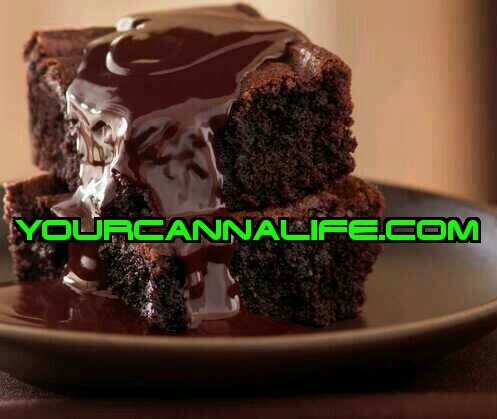 Calculating THC potency in homemade cannabutter and edibles is an important head skill to master. Let’s review the basic formula for determining cannabutter THC content and then work out the measurements to yield 10-milligram servings for your favorite cookie recipe. Coincidentally, in Colorado, the standard serving size for a commercially made edible is 10 milligrams THC. Get out your scratchpad and calculator, and let’s get cracking. Your cannabutter recipe calls for one ounce of marijuana and four sticks (one pound) of butter. 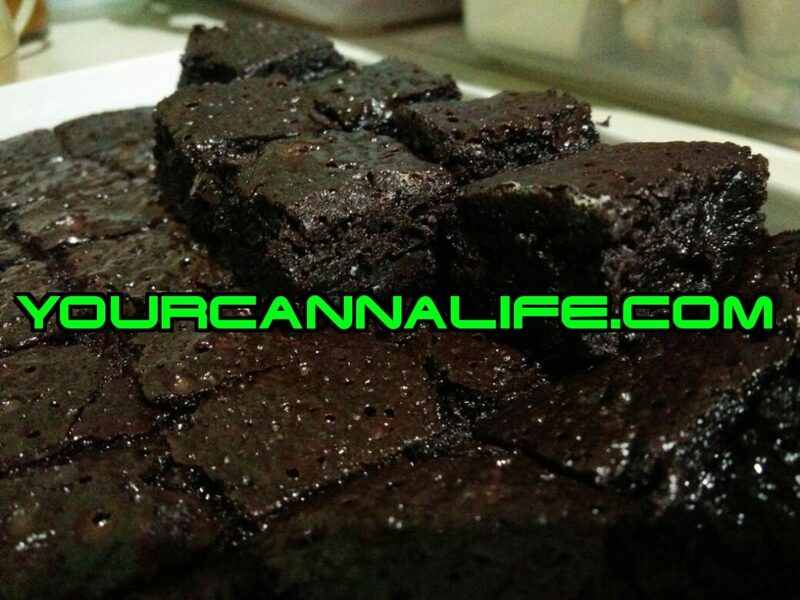 Kudos to you for prepping your buds and trim for your recipe with a decarboxylation step. This will help optimize the THC in your plant material. For the uninitiated, decarboxylation is the process of activating cannabis flower or trim with heat to transform the non-intoxicating THC-A cannabinoids into psychoactive THC, as would happen when you light up a joint. Different chefs have different time and temperature recommendations. Wolf suggests heating marijuana in a 240-degree oven for 40 minutes. Now, let’s estimate the cannabutter potency. Step 1: How potent is your weed? We need to know the THC percentage of the homegrown Banana Kush flower and trim. Some variables in potency of flower or trim depend on the plant characteristics and the growing cycle. You could do some online research for potency results for whatever strain you’re working with. Some searching on Banana Kush shows THC potency of 16-27 percent. That’s a significant variance and this also illustrates why these cannabutter calculations should be considered only a best guess. For convenience and ease, we’ll use a 17 percent THC potency for our calculating — that’s the average potency of marijuana flower sold in licensed Colorado shops, as determined by a 2015 state-commissioned study. Convert your measurements to the metric system. One ounce equals 128.35 grams. Convert again to milligrams – 128.35 grams is equivalent to 128,350 mg. So, there are 21,820 mg of THC in the batch of cannabutter. Next, figure the milligrams per gram (mg/g) of the cannabutter batch. We’ll tally using the metric equivalent of one pound of cannabutter, which is 454 grams. As you recall, you infused four sticks of butter. Therefore, a single-stick of butter is 113.5 grams (we’ll be using this figure in a bit). There are approximately 48 milligrams of THC in each gram of cannabutter. While we figure out how much cannabutter is needed in the recipe, start softening two sticks of regular butter (non-infused) to room temperature. You will definitely not need to use just cannabutter for these single-serving cookies. Since you want each cookie to contain about 10 mg THC, multiply that by the recipe yield (60 cookies) to get the total amount of THC needed. Phew, that was easy. You need a total of 600 mg THC for this cookie recipe. So, how much cannabutter would contain 600 mg THC? Based on earlier calculating, we know there are 48 mg THC in each gram of cannabutter. Therefore, 13 grams of Banana Kush cannabutter are needed to make 60 cookies with 10 mg THC per serving. How much regular butter do you need for your cookie recipe? Remember, the cookie recipe called for one cup which is equivalent to 227 grams. 227 grams minus 13 grams of cannabutter is 214 grams of regular butter. Here’s the final calculation needed to add the right amount of cannabutter: How many grams are in a tablespoon of butter? Your cookie recipe calls for a total of 1 cup butter — the equivalent of 2 sticks or 16 Tbs — so you’ll need a little less than 1 Tbs cannabutter and a tad more than 15 Tbs regular butter to hit your THC per-serving goal. A) Before you begin, homogenize the cannabutter to make the potency consistent throughout the whole batch. Heat all the cannabutter at a low temperature, just warm enough to liquefy it. Gently, but thoroughly, stir until it’s completely blended. B) When you are making the batter, incorporate the regular butter and cannabutter thoroughly with the wet ingredients. Homogenous batter will have a more consistent distribution of THC throughout the cookie dough. Keep in mind if you use other cookie recipes loaded with chocolate chunks, chopped nuts, oats, dried fruit or other additional delicious ingredients, you will want to thoroughly mix the ingredients and evenly distribute the cannabutter batter. C) Divide up your dough into evenly-sized baking portions before you start placing on the baking sheet. You’ll likely want to bake 12 cookies in five batches, so make five evenly-sized portions. And keep your spoons of cookie dough a consistent size. Before you get back to baking, one final note about portion sizes. If you’re sharing your cookies with other adults in a recreational setting, I recommend using less cannabis in the recipe to lower the THC dosage per piece, so people can eat two or three cookies and not overindulge in THC.